Nestled amongst the Cederberg Mountains amidst citrus orchards, fields of rooibos, buchu and wild flowers the amiable Piekenierskloof Mountain Resort captures the breathtaking scenery of the natural landscape. 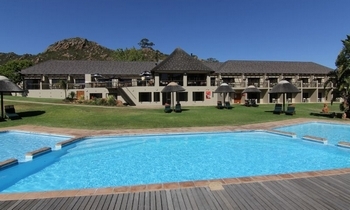 A mere two hours drive from Cape Town and the perfect venue for all weddings, corporate functions and conferences. The air-conditioned conference room with natural daylight consists of two meeting rooms that can be combined into one big venue. It is equipped with a serving area, bar, paraplegic facilities, private patio and abundant secure parking. 22 Luxury hotel rooms and 16 self-catering chalets, each with two bedrooms, en suite bathroom, loft, open plan lounge, dining room, kitchen and outside patio with built-in braai.